Senator Marco Rubio, this constituent of yours has watched your interviews these last couple of days as well as your speech Thursday on the Congress floor. I was saddened, but not surprised, at what little you have had to say, and on top of that, how the very little you have said was invalid, meaningless, and contradictory. Unfortunately, the American people have come to expect this from our leaders tragedy after tragedy, however, I think we collectively and foolishly continue to hope for the day our leaders prove us wrong. We continue to hope for the day that we are not disappointed, not ashamed by our governing body, but see a united and capable group of human beings determined to put their politics or ideologies aside for the good of their country. First off, the initial statements from you and others to not politicize these events or it being not the time to discuss our gun laws are officially cancelled as an argument when the very students, parents, staffs, community members, and law enforcement officials that were directly affected by this tragedy, that very day, urged & demanded that members of Congress, their governor, and the White House take action—MINUTES after experiencing a school shooting. They bravely relived it on national television in an effort to have their voices heard loud and clear that their leaders and representatives must act. 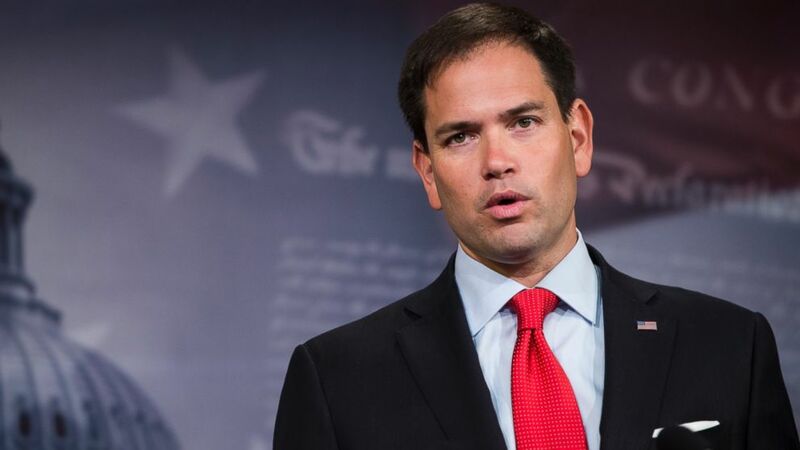 If they, MINUTES after experiencing a mass school shooting, can tell their story, if they, MINUTES after experiencing a mass school shooting demand that the conversation be had, if they, MINUTES after experiencing a mass school shooting urge action, then Senator Marco Rubio, as their representative, you are obligated to respond. You are obligated to have the conversation with them and for them in Washington, D.C. Reach across the aisles, outside of party lines, listen, debate, and find a compromise with one another for the sake of the people you all are appointed to represent. Because as it stands, YOU ARE ALL FAILING US. While you have all given yourselves an endless amount of time to have thoughts and prayers on these horrific tragedies, there have been more and more senseless acts that have resulted in a number of American lives lost and complete inaction by you and your colleagues. That time is up. We demand that more be done and if you continue to do little to no action then the new generation that is coming of age will vote you out of office or run for office themselves. on Friday, young students from South Broward High School came out to protest against the gun violence and your inactions, in unison shouting, “NO MORE DOUGLAS!” More than a hundred protestors on Friday, stood outside of the headquarters of the NRA in Virginia demanding gun control in the wake of the shooting. On Saturday, an anti-gun rally is underway in Ft. Lauderdale with teachers and students demanding change. Students and parents across the country are working together to walk out of classrooms in protest for your lack of action. Everyone is calling for something to be done and it is clear that if you continue to sit on your hands, we will make the change ourselves. So, join us or leave your positions in office because time is up. Senator Marco Rubio, in your speech in front of Congress on Thursday, you tried to explain and display how conflicted you are with the issue of reform. It was unsettling to watch. You kept repeating that we all have to understand and to be honest that change in legislature is not going to stop this from happening. You also addressed that those with similar view points as yourself are also wrong in believing that there is nothing that can be done. I commend you for at least acknowledging that more can be done (yes, the bar is set that low), but am puzzled and irritated in the need to contrast this with the notion that no matter how much we try to prevent these events it won’t stop them. That’s what you said in your speech yesterday. And this is what I say to you today. Yes, it is true. No matter how many laws or regulations we pass, it will not always prevent an event like this. But, like you also said, we should do what we can to try. Dammit. WE HAVE TO. Because honestly, then what is the point of Congress? Why do any of you bother holding office as our representatives? What is the point of proposing laws? What is the point of having any laws? What is the point of law enforcement? Is it not to serve and protect the American people? Is it not to prevent? Isn’t that why laws against drunk driving or speeding exist? Laws against substance abuse? Isn’t that why there are three branches of government? Isn’t that why the current administration and yourself supposedly back the ridiculous border wall and want stronger immigration laws? To try and prevent? Yes, the issue is complex and yes if people really want to commit a crime they will find a way to do so, but we still have laws and regulations to prevent them from doing so; and neither the complexities nor determination of a criminal has prevented you or others in government from passing legislation before. Please help me understand why this as a viable counterpoint for gun reform in Congress, because I truly find that this argument makes your duty and position as a public servant obsolete and meaningless. This argument makes laws meaningless. Unnecessary. It creates the idea that you do not care and as a father of young school children, I know that you do. Please, NEVER use this argument again. You are tasked to serve and protect. You are tasked to represent your constituents. If you and your fellow colleagues are not able to meet the requirements of your position then please leave the office that you hold and let us replace you with someone who can. Senator Marco Rubio, in your speech in front of Congress, you listed the different ways in which these killers have managed to carry out their attacks. You touched on their mental health and the lack of funding, or the inadequacy of the background checks or other systems that are currently in place, the missteps from law enforcement. Yes, there are truths to this. But you failed to also mention a couple of things. Let's start with the fact that YOU have the power and influence to introduce or support bills for proper mental health funding, for proper care for those suffering with mental illness. YOU have the power and influence to improve our background check systems. YOU have the power or the influence to hold law enforcement officials accountable or to speak with them to determine what they need in order to accomplish their jobs. YOU also conveniently left out just how weak and backwards gun laws in Florida are. According to the state law in Florida, as I'm sure you know, background checks are not required in private gun sales; meaning a convicted felon, a mentally ill person or an 18 year old can privately purchase a gun, without the knowledge of the state of Florida. It is also illegal to keep a database of gun owners. How does this make sense? How does it make sense that it was only until recently that a convicted felon had their voting rights restored, but were always able to privately purchase a gun without the state of Florida even being aware? How does it make sense that an 18 year old can privately buy a gun before even being able to buy or drink beer? According to the state law in Florida, there is a three day waiting period for handgun purchases. For an AR-15 style rifle, magazines and ammunition, you only need to wait minutes to clear a background check to walk out of a gun store with it. How does it make sense that a semi-automatic rifle that can fire hundreds of rounds per minute (adapted for civilian use after the military's M16 and M4 carbine which, by the way, were both designed to kill enemy combatants) is way easier to obtain than a handgun? According to federal law, you must be 21 to buy a handgun from a firearms dealer, but only 18 to buy a semi-automatic rifle. How does that make sense? How does this not desperately scream to you that gun reform is necessary?! That the current gun laws as they stand need to reviewed, scrutinized, and amended. "laws and institutions must go hand in hand with the progress of the human mind. As that becomes more developed, more enlightened, as new discoveries are made, new truths disclosed, and manners and opinions change with the change of circumstances, institutions must advance also, and keep pace with the times. We might as well require a man to wear still the coat which fitted him when a boy, as civilized society to remain ever under the regimen of their barbarous ancestors." Senator Marco Rubio, in your speech in front of Congress on Thursday, you said you are not trying to dismiss arguments for reform. But Senator, when you continuously make the protection of twenty-seven words, from a document over 200 years old, written in a completely different time in American history, a more significant priority, over the lives of American children that continue to lose their lives from school shootings, then you are being dismissive. When you use the argument, "if people really want to commit a crime they will find a way to do so," you are being dismissive. When you sit on your hands time and time again, you are being dismissive. Senator Marco Rubio you don't need more time. You don't need to gather more facts. You don't need to send us your thoughts and prayers. You don't need to spend time defending yourself on Twitter. You don't need to take money from the NRA. You don't need to repeat your same talking points to news networks. You need to act. Advocate for gun reform now.